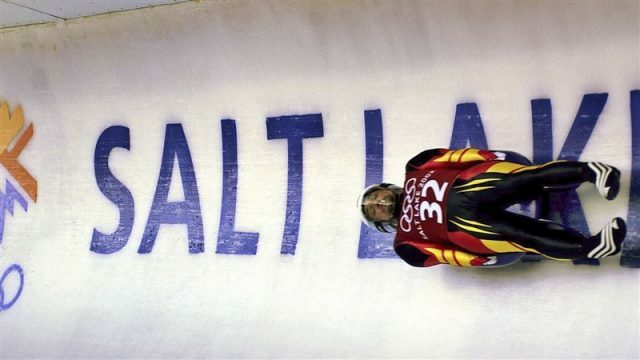 Will 2026 Winter Olympic Race be More of the Same or has Change Really Happened? It has been a busy old week in the fledgling race for the 2026 Winter Olympic and Paralympic Games. Our understanding is that, at the time of writing, the International Olympic Committee (IOC) is expecting submissions of interest from seven countries: Austria, Canada, Italy, Japan, Switzerland, Sweden and United States. There is a good chance that Turkey could make it eight before the March 31 deadline. We cannot rule out others, too. A healthy field, all in all, and a good sign for the revival of Olympic bidding? Well, without wishing to sound like an old cynic, we have been here before and a large number of candidates does not necessarily mean a healthy competition. Just look at the Russian Presidential election. A six-horse race for the 2022 edition began with much fanfare in November 2013. Well, not quite. Fast forward 18 months and Stockholm, Lviv, Kraków and Oslo had all withdrawn to leave just Almaty in Kazakhstan and the uninspiring eventual winner Beijing. A similar scenario played out for the 2024 Summer edition where we began with five bids but suffered three more European withdrawals from Hamburg, Rome and Budapest. It left just Paris and Los Angeles battling for a victory which they ultimately both secured. March 31 marks the start of an officially unofficial dialogue stage before the IOC membership decide in Buenos Aires in October who becomes actual candidates. They will presumably just rubber-stamp a list of cities foisted on them by the Executive Board. Any Italian bid will also mean they must move the 2019 IOC Session away from the current choice of Milan. We can discount the US straight away. They have repeatedly said they will not bid to avoid disrupting Los Angeles 2028 and are only submitting interest to avoid missing out on a possible joint awarding with 2030. Salt Lake City, Denver and Reno are among those already locked in a domestic rivalry for the latter event. Sapporo is perhaps the strongest bid in a purely technical sense. Skiing folk love to say that northern Japan has the best “powder” in the world and last year’s Asian Winter Games edged Lillehammer’s Winter Youth Olympics as the best winter sporting event I have attended. Every venue bar speed skating was nearby. And it was impeccably organised. The IOC does not really want to return to East Asia for a third successive time after Pyeongchang 2018 and Beijing 2022, although they are obviously worried enough about having no other choice to encourage the bid in the first place. Sapporo would perhaps be a better choice than the US for the 2030 portion of a joint-awarding, to avoid two successive American Olympics. but I would also rank Japan as the marginal favorite for 2026 at this stage. It says a lot about the others that Erzurum in Turkey, if it is proposed this week, could almost be considered the most reliable. This is because it would be unlikely to face much opposition after already receiving the backing of Turkey’s President Recep Tayyip Erdoğan in recent days so would be more likely that some to see the contest through. That said, expensive new venues would be required and there does not appear much support from national or international sporting bodies. Regional politics and the resort’s relative proximity to Syria and Iraq must also be considered. Calgary still seems the most likely of the remaining five. Opinion polls have indicated decent support, Western Canada has a strong history of Olympic backing and opposition so far has largely been confined to lone councilors and individuals. This could change, however, and much will depend on tactics deployed over the next six months. Stockholm are the polar opposite of Erzurum in that they have many determined sporting officials who will not let a consistent lack of political support get in the way of their bid. They have talked a good game and are advocating a largely private sector-oriented bid as well as innovative elements such as a sliding track in Latvia. But there is little indication so far that the public and politicians are similarly enthusiastic. The dreaded R-word already looms over the others. 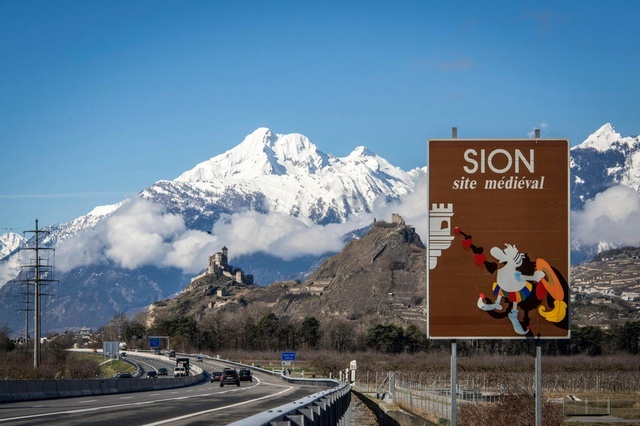 Sion in Switzerland must already face a referendum in June and opinion polls have consistently suggested that victory is unlikely. The Swiss National Council also passed a motion last week to extend this vote to the entire country, rather than just the Canton of Valais, which would delay it until next year. Graz and Schladming in Austria have emerged as an unlikely bidder after the collapse of the Innsbruck bid last year following a referendum. Officials are aiming to avoid a repeat ballot, which hardly inspires confidence in local support, but once again this remains to be seen. Several events could also be held over the German border. Italy would be hoping to avoid a hat-trick of failed bids after the collapse of efforts from Rome for 2020 and 2024. A sudden U-turn from Five Star founder Beppe Grillo has surprised everyone as he supported a potential Turin bid after repeatedly lambasting the “madness” of Rome’s bid last year. Sporting officials, though, still favor a Milan-led effort as they see it as more reliable and, as we have seen before, things can change very quickly in Italian politics. There is not even a ruling Government in the country at the moment. What can be done to avoid these bids collapsing? IOC reforms have focused upon flexibility and a more individually-tailored bid, which is great, as well as cost cutting measures. They hope their 118 “New Norm” changes passed last month could cut $500 million from Winter Olympic budgets. Sweden’s IOC Executive Board member Gunilla Lindberg said last week that they need to “inform and explain” what the new rules mean to boost support rather than actively “persuade” people to change their minds. This is true, but people are also aware that other Olympic budgets have ballooned by far larger amounts in the recent past and the IOC can only impose this ethos on a willing city. Pyeongchang 2018 resisted all attempts to scrap the building of venues for existing facilities, including a sliding track, in favor of existing facilities father afield. Sapporo have also already said they would consider building a sliding track rather than use the current one at the other side of Japan in Nagano. I asked the Olympic Games executive director Christiophe Dubi in Pyeongchang what analysis they had done of referendum defeats and why they had happened? “Costs” was his immediate reply. This is all important, but there is surely more to it than that. “I think there are many reasons,” answered Austrian Olympic Committee President and IOC member Karl Stoss when asked the same question about Innsbruck’s ballot. Calgary councilor Druh Farrell raised the IOC’s handling of corruption and Russian doping, as well as financial matters, as concerns surrounding her support for the city’s bid earlier this month. This all shows how recent Olympic failures are due to far more than just “costs”, important as this factor is, and it is startling that the IOC have seemingly never carried out a forensic study to get to the bottom of this. They could also learn more from their own successes. Paris 2024, the only European bid to last the course in the past two races, pulled-off two masterstrokes. Firstly, they made a huge and virtually unprecedented drive to court as many people as possible across France, especially the young, with their clear and consistent “Made for Sharing” message. Secondly, they swiftly identified and courted potential opponents such as trade unions, business, NGOs, environmental groups and all political parties. This, along with a dose of luck, helped reduce opposition and referendum-clamor to a trickle rather than a flood. There is a lot of talk from Bach and others about how people will always vote against the “establishment” in referendums but why should the Olympics be an “establishment” project? The bid may have been led by a master-politician in the making in Tony Estanguet, but he was also the face of a new and youthful France. Similar figures like basketball player Emmeline Ndongue and judoka Teddy Riner also seemed far more prominent on bidding duty than old and crustier politicians so central to the failed Parisian attempt for 2012. The 2026 race is, as it stands, a real opportunity to revive interest in Olympic bidding. But the right steps must be taken by both the bid cities and IOC themselves to avoid another flood of withdrawals over coming months.